If you answered YES, please read these safety tips before you go. 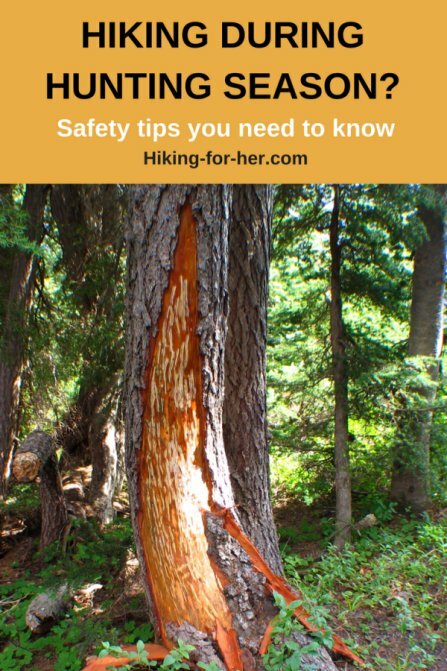 If you answered I'M NOT SURE, you really need to read these safety tips for hiking during hunting season! I grew up in the far north woods of the upper peninsula of Michigan, where hunting is a common activity. My father had a full gun case, and hunted deer and grouse to put food on the table. So I was always aware of when NOT to go play in the woods behind the house. Our dog Buddy was not so fortunate. He was killed by hunters who mistook him for a deer. 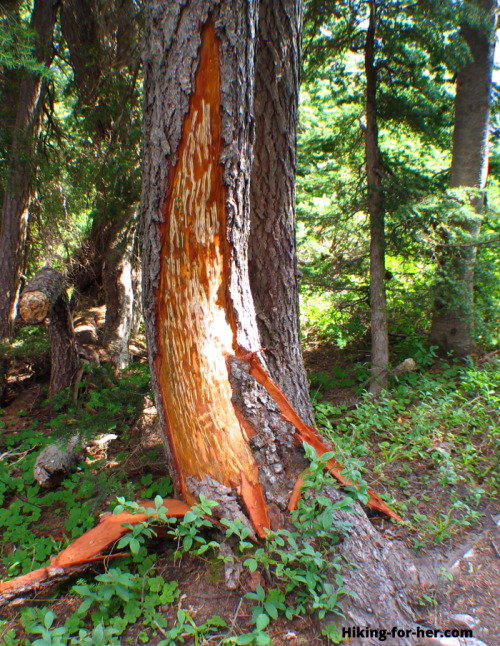 You are responsible for knowing when hunting season occurs in your intended hiking areas. Assuming that autumn is hunting season may catch you off guard! Mid-August is not too soon for bear hunters to be sharing the trail with you in some states. Your state's Fish and Wildlife Department website should provide a calendar of hunting seasons. This website will help you zero in on your area's rules and regulations for hunters. Firearms and bow hunting (archery) may be timed differently, so be sure you're aware of both seasons. To understand what you're up against if you're hiking during hunting season, consider the reasons why hunters and hikers take to the woods. Hunters go outdoors because that's where their prey live, reproduce, congregate during migration, and winter over. Hikers go outdoors because that's where the trails and backcountry are. I know, I know: totally obvious statements. But the intersection between hunters and hikers puts you -literally- in the cross hairs. Hunters aren't thinking about hikers as they hunt. They are watching for movement. They are listening for footfalls on rock, duff, scree or trail. They are ready to react quickly to sighting what they perceive to be a bear, deer, elk, etc. Did it ever occur to you that you sound like a game animal as you walk the trail? Or look like a big animal (especially with your backpack on) when you step off trail to navigate blow downs, rock fall, or just to explore? I've had a few close calls with bow hunters who were stalking turkeys in the under brush beside the trail, as well as one young hunter who was far too excited to be holding a gun when I stepped back onto the trail. So I'm eager to go over some ways to keep you safe as a hiker during hunting season. Dull colored clothing, a hump on your back, and standing in shadows can help you imitate a game animal. Avoid this if you're hiking during hunting season! So your mandate is to NOT look or sound like a game animal during hunting season. Use these tips to maximize your chances of doing just that. So you should wear orange! Obnoxiously bright day glow orange vests are easy to put on yourself and your dog. 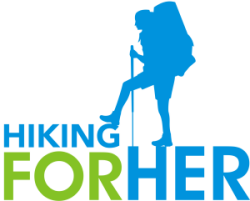 This one is useful for female hikers because you can expand it to accommodate your hiking layers as needed. Your dog will look spiffy in this one! A bright orange hat will make you visibly human as you visit the bushes for a pee break, or take a nap on a stream bank. An orange pack cover will help you avoid being mistaken for a bear. In other words, you are urged to add neon orange accessories to your gear checklist! Silently gliding down hiking trails is a wonderful way to hike, and in fact, it's one of my requirements for a trail buddy: knowing when silence is golden. But in hunting season, it's time to tell jokes and to laugh loudly at everyone else's jokes. Or to sing the national anthem, off key, as many times as it takes to get you through wooded or hidden sections of your hike. Some hikers wear bear bells in the summer to ward off bears. You can wear them during hunting season to ward off hunters! Tip: When you hear nearby gun shots, shout your presence to hunters who may be intent on tracking a wounded animal. You don't want to startle anyone into making a wrong decision. A savvy hunter knows that animals have activity cycles with peaks and valleys, most notably being active at dawn and dusk. And you should know this if you're hiking during hunting season! 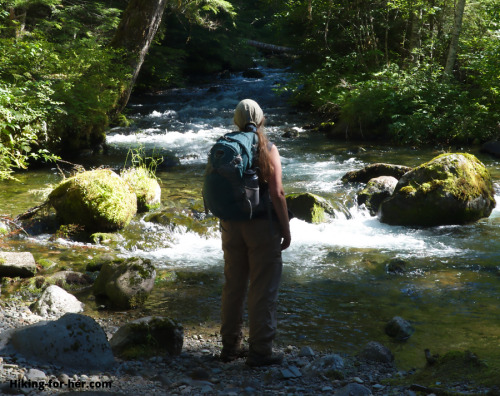 If you're backpacking, maybe sleep in awhile or enjoy a second cup of coffee or tea before you hit the trail each morning. If you're on the trail as twilight is falling, know that your orange coloration won't be as visible to humans. So make some human noises! Bears like to use trails, too. And hunters know their habits. If you'd prefer to take zero risks on a hiking trail during hunting season, only hike in areas where hunting is prohibited. State and national parks are one idea. Or comb through the information on your local parks to get an idea of the rules around hunting. Every year, review the hunting rules for changes or additions. Complacency is not your friend before you head out for a hike during hunting season. Stay orange, stay loud, stay safe!